An eye catching leash made with durable materials. Makes a great pair with Metal Buckle Collars! All leashes are 5' long. 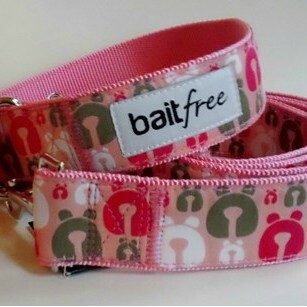 20% of all Bait Free proceeds support the physical and emotional needs of rescued bait dogs.